In the beginning man created painting and money. Painting was formless figurative etching, and man, who really liked this style said, How much does this thing cost? And the painting was sold. Man saw that the buying was good, and he separated the buying from the painting. Man called the painting art and the buying he called a deal. So man created the artist in his own image. The artist said: Let me produce art, paintings and sculpture in the gallery that attract a proper amount of money and some respect. And it was so. The man produced art – paintings valued according to their worth, and artists gaining respect and heroic status. Days and months and years passed. And man created the museum. 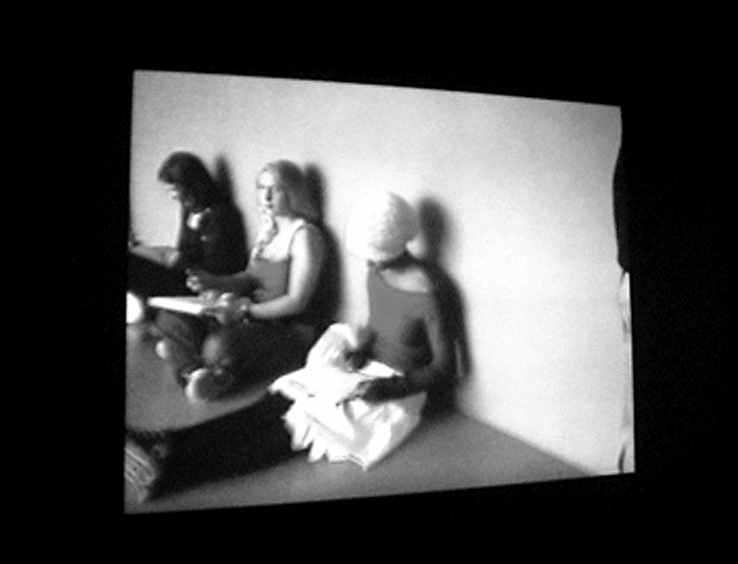 Now the artist formed within the space the photos of the galleries and the videos of the public spaces. He showed them to the art critic to see what he would name them, and the art critic named each style and form. And that was its name. And the artist said to the art critic why should I separate the paint and the sculpture, the photograph, the video and the performance? Then the artist said, Let me produce everything I can – video as sculpture, sculpture as painting, painting as documentation, documentation as photography, photography as print, print as text, text as an idea. And the art dealer saw that the installation was good and the installation sold. Now the earth was corrupt in man's sight and was full of violence. And the curator saw how corrupt the earth had become for all the people on earth had corrupted their ways. So the curator said to the art critic I see all of this, and I think maybe we should react to all these political waves as globalisation and anti-globalisation and generally be a bit more involved in world politics. And the art critic called the artist. And the artist said, It's a great idea, why should I separate the political, the curator, the gallerist, the gallery space, the style and the content? And the art critic said, Yes it could even be interactive. And the innocent viewer went to the exhibition and said Eeehh... And the art dealer saw that the installation was good and the installation was sold. Then the anger of the poor burned against this art world and he turned me, Keren Cytter against them saying, Let me curate an exhibition – Dutch and German sculpture on a level that allows free interpretation, Dutch Moroccan artist with an Israeli settler in a 50min documentary, an American conceptual artist and an authentic Italian wall painter. And people saw that the idea was good and the idea was sold.